Zarela Huanuiri’s story is the incredible proof of how combining empowerment and creativity can create a social impact for the good of a community. She was able to reinvent herself as an independent businesswoman who encouraged the artisan women of her community of San Jorge (Loreto – Peru) to preserve the natural resources of the precious Peruvian Amazon. Her story begins when her son Reiner was attending Minga Peru’s workshops and shared with her all of the amazing things he learned – such as self-esteem, women empowerment, teen pregnancy prevention, among many others. He was so amazed at Minga’s workshops and did not hesitate in inviting Zarela to join them. At first, Zarela was hesitant. But when she heard the experiences’ from her neighbors who also attended Minga’s workshops, she felt very impressed: they told her that Minga was developing craft making workshops to learn to make crafts from scratch and commercialization strategies to sell the crafts to tourists visiting the Amazonian communities. Though Zarela had some previous experience in making crafts, she never considered the possibility of making this skill a source to generate income and also an opportunity for her, as a woman, to support her family. So she finally felt motivated to participate. 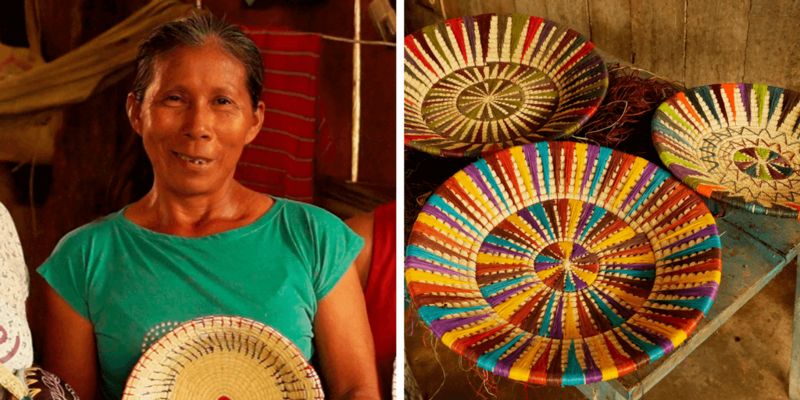 When Zarela began attending the workshops, she learned how to make various handcrafts designs (bread boxes, hats, purses, and many others), and she learned that most handicrafts were made of the plant fibers of the Chambira palm tree. Zarela felt so happy and proud when she saw all of the handicrafts designs she made during her time at the workshops, that she felt encouraged to start a business based on what she had learned at Minga. But she got preoccupied when she became to notice that the Chambira palm tree, the main source for making handicrafts, began to scarce in most communities of the Peruvian Amazon due to deforestation and inadequate agricultural practices, and to have access to this palm tree, artisans had to travel long hours by boat or by feet. “If I want to make my own business as an artisan woman, and ensure that other artisans can have access to this resource, I need to change how people are using the Chambira palm tree and other natural resources in my community”, Zarela said to herself. Zarela found out that Minga was also providing training workshops on how to create eco-friendly income generating projects, so she did not hesitate in attending these workshops. She learned about techniques to plant and use the Chambira palm tree in an eco-friendly and sustainable way. She felt so empowered with the new skills she obtained that, after attending the workshops, she managed to obtain a land close to her community so she could plant Chambira palm trees and other natural resources to get the materials she needed to create handicrafts and, finally, make her business dream come true. As a result, she became independent and financially stable: she is now able to buy things for her house, get school supplies for her children, and even cover medical expenses that before she was not able to cover. After the success of her business, Zarela became president of an artisan women group, where she now shares what she learned at Minga’s workshops, she teaches how to make eco-friendly businesses, and she promotes the importance of preserving the natural resources to make artisan work sustainable. Zarela is one of over 250 artisans from 30 remote communities in the Peruvian Amazon who received training by Minga Peru to learn about craft making and develop eco-friendly income generating projects. 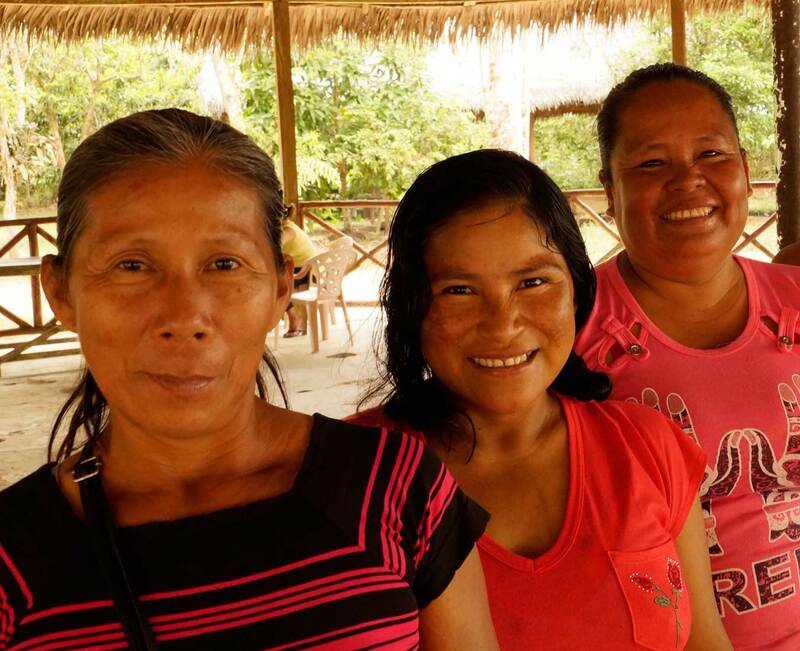 Help empower other artisan women like Zarela in the Amazon.